I took this picture 10 days ago by a friend’s pool. I am still marveling at the beauty of colored glass between sunlight and water. 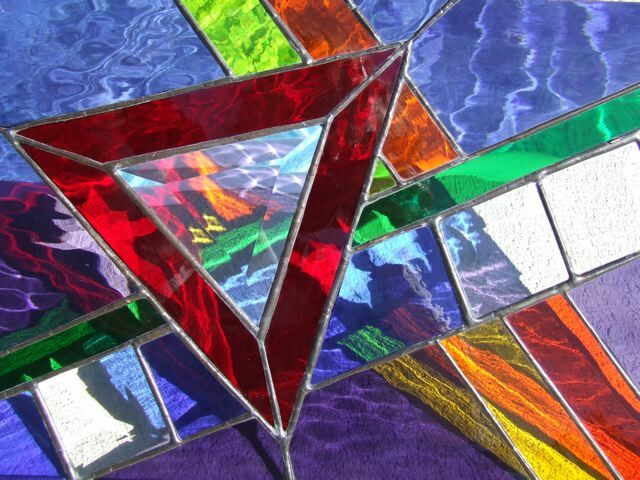 This entry was posted on October 9, 2007 at 9:35 am and is filed under Bevels and Colored Glass, Copper Foil Method, Foiled and Soldered, Rainbow Colors, Stained Glass, Straight Lines and Angles, Water Glass. You can follow any responses to this entry through the RSS 2.0 feed. You can leave a response, or trackback from your own site.